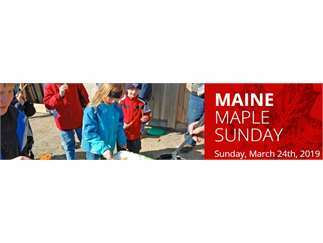 The Maine Maple Producers Association welcomes you to join Maine’s Maple Syrup Producers, statewide, as they celebrate Maine Maple Sunday. Most sugarhouses offer free maple syrup samples and demonstrations on how pure Maine maple syrup is made. Many farms offer games, activities, treats, sugarbush tours, music, and so much more. Visit http://mainemapleproducers.com/about-maine-maple-sunday/ for an interactive map of all participating sugarhouses.